A friend recently promised to plant ‘bee-pleasers like lavender and cotoneaster’ to give her garden a pleasant summer hum. This made me think of summer afternoons spent in the garden enjoying the drifts of scent and the sounds of nature, while drinking a tall glass of lemonade. The past few weeks with my family and work have been really busy and there hasn’t been time to enjoy simple pleasures or even blog! So I gave myself Sunday afternoon to slow down and try a recipe for homemade pink lavender lemonade and lavender-scented sugar. This recipe for lavender lemonade couldn’t be simpler to make and more delicious to drink. 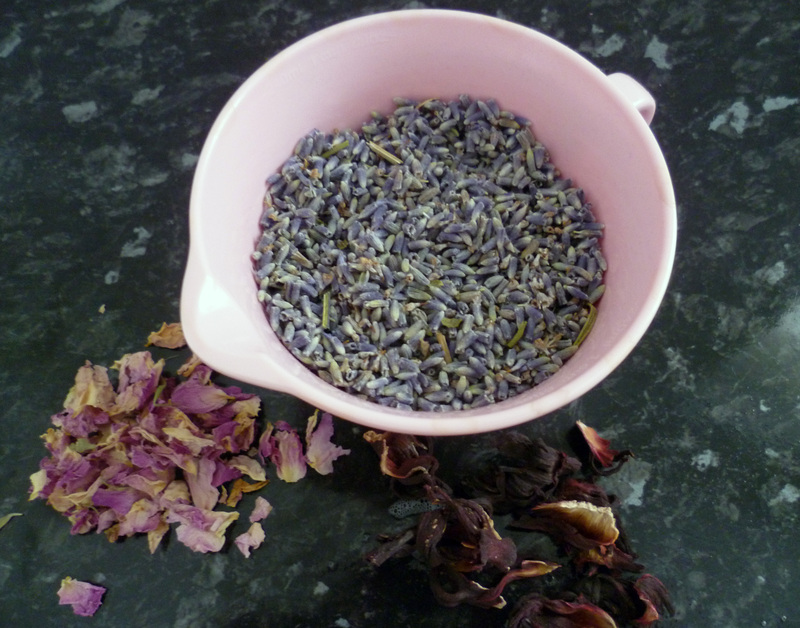 Lavender has a very distinctive flavour in recipes so adjust to suit your taste. I have added rose petals for fragrance and hibiscus for its rich pink colour. 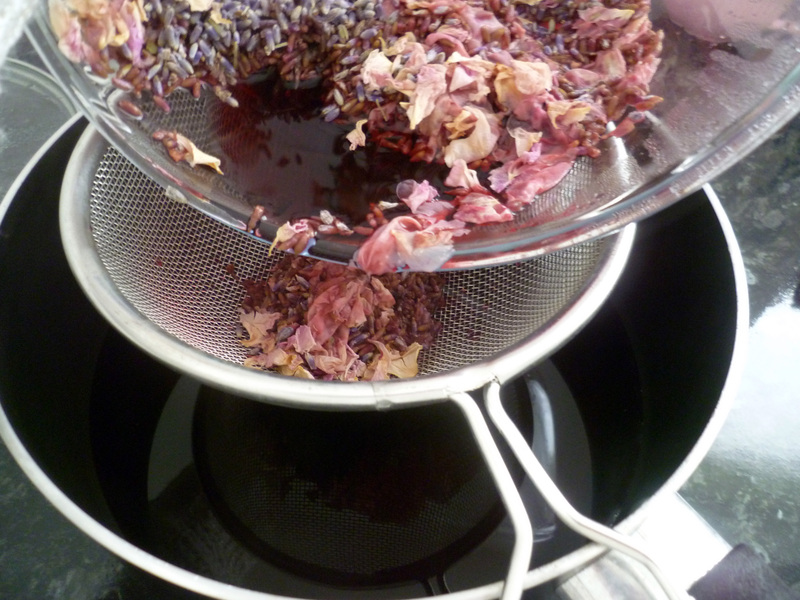 Pour the boiling water over the lavender, rose petals and hibiscus flowers, then cover and leave for 10 minutes. The rose and hibiscus make the lemonade pink. Squeeze the lemons into a bowl while waiting for the flowers to infuse the water with scent and flavour. Sieve the flower water into a saucepan and add the sugar and lemon juice, stir thoroughly until all the sugar had dissolved. 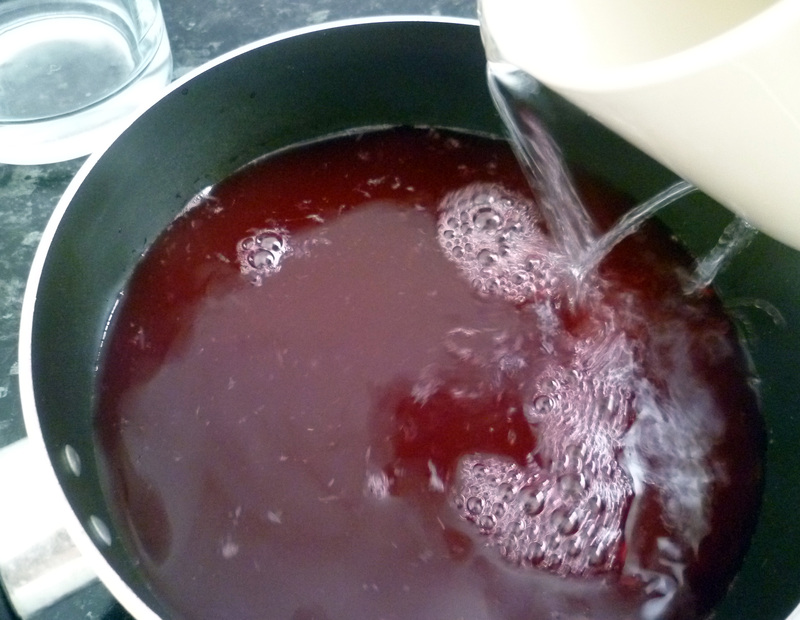 Then add the cold water and stir. 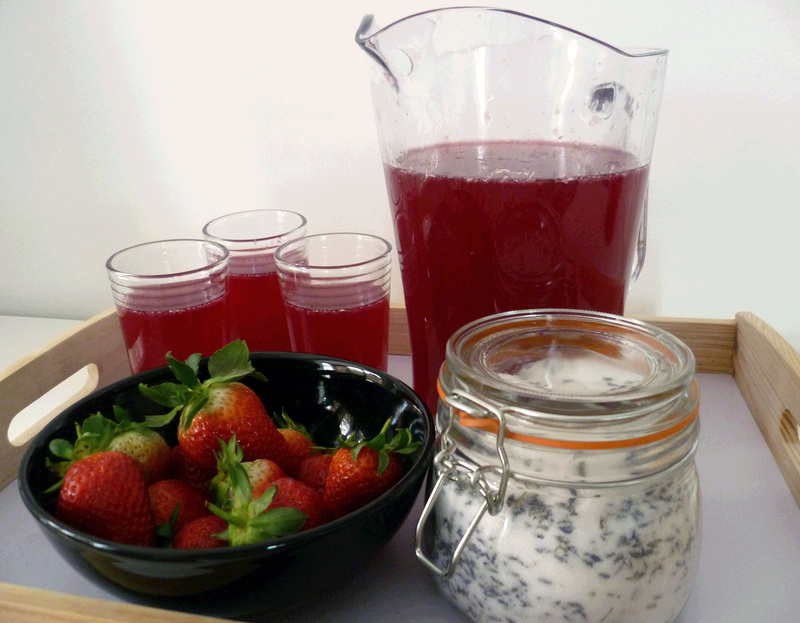 Pour into a jug ready to serve and refrigerate for 30 minutes or longer to cool. 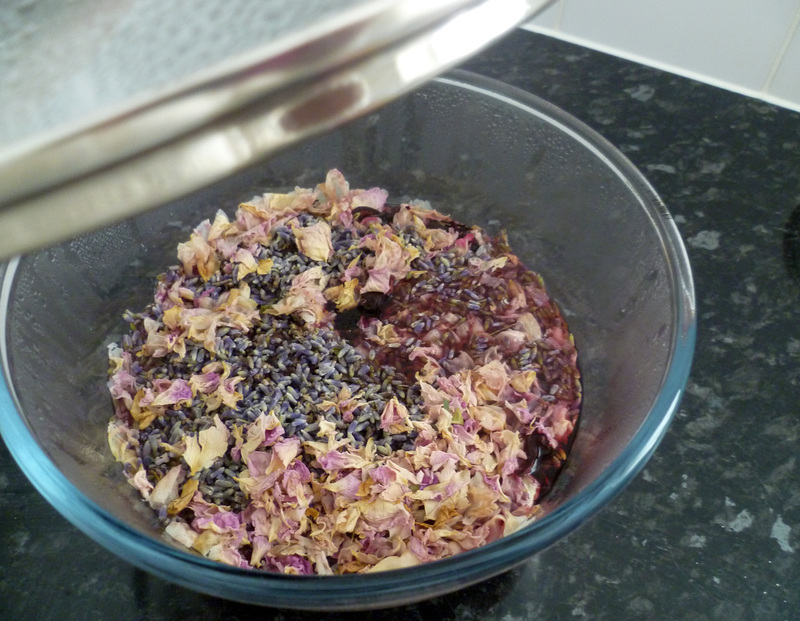 Pour the boiling water over the lavender, rose petals and hibiscus flowers, then cover and leave for 10 minutes. 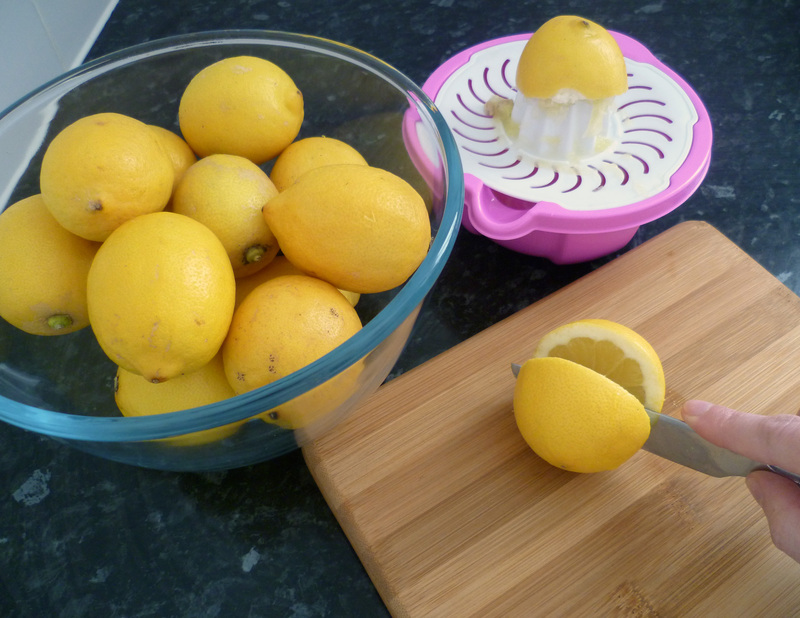 Cut and squeeze the lemon juice into a bowl. 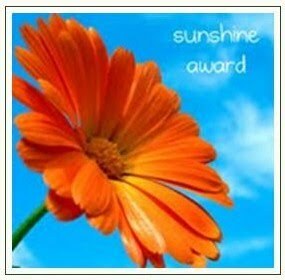 Sieve the flower water into a saucepan. 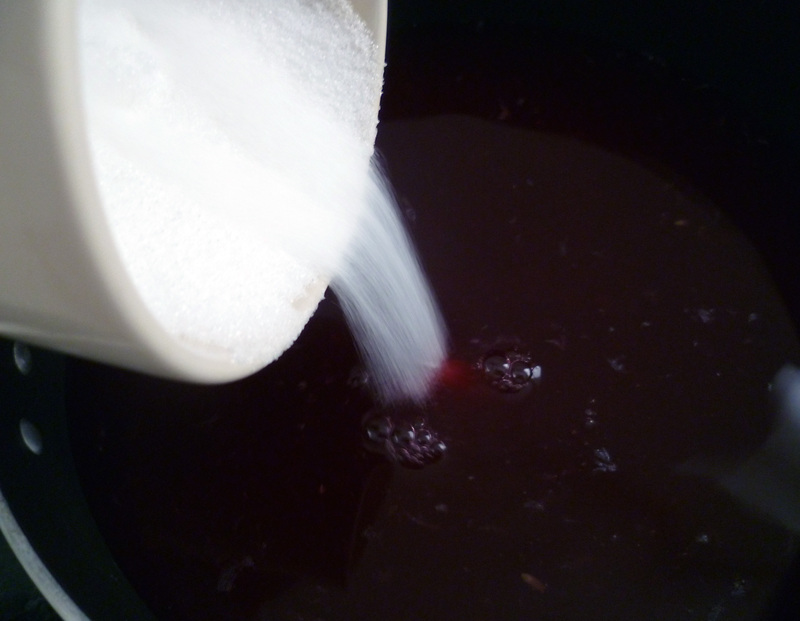 Add the sugar and lemon juice, stir thoroughly until all the sugar has dissolved. Then add cold water and stir. Pour into a jug ready to serve. Just add strawberries. Lavender sugar makes everything taste beautiful and it is so easy to make. 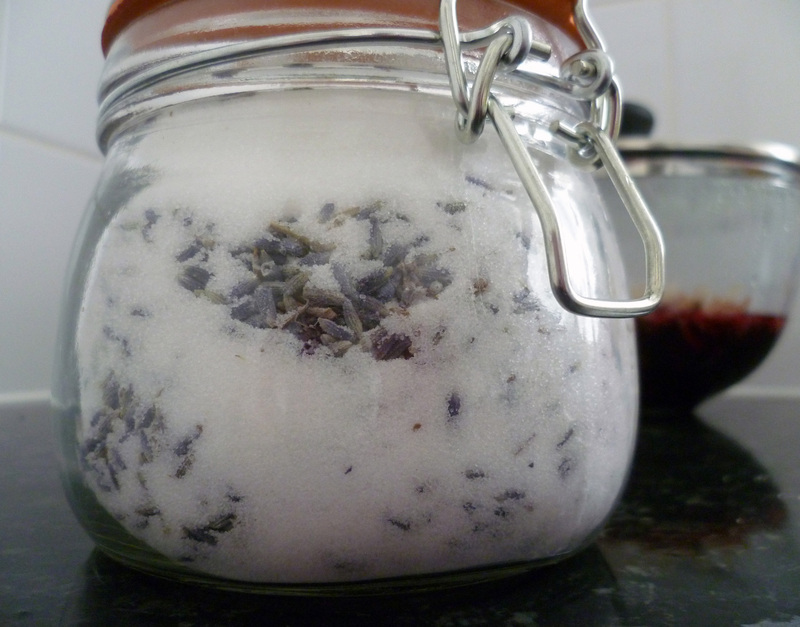 Simply mix together 2 cups of castor sugar and 1 cup of dried lavender flowers. Store inside an airtight jar ready to use. In time, the sugar soaks up the scent and taste of lavender, and is lovely to use in baking recipes or sprinkled over fruit and desserts. We enjoyed the lavender lemonade and sugar with strawberries. 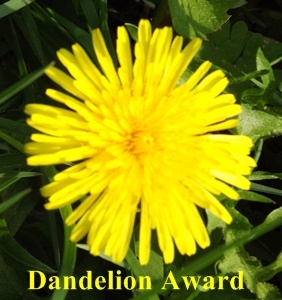 It felt a little like a celebration given the recent good news about mine and Emily’s bees. There has been some troubles in bee-land lately, although all’s well that ends well which I’ll save for my next post. 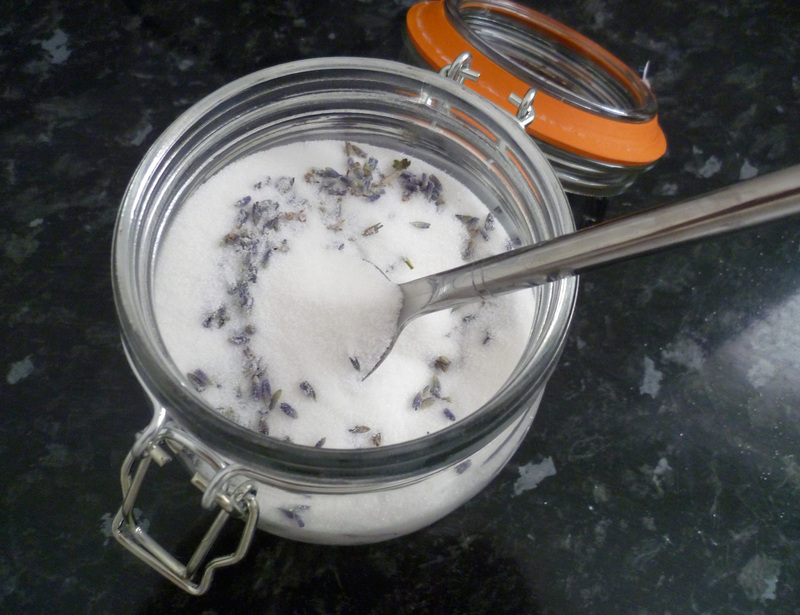 Lavender sugar takes seconds to make and can be saved for more lovely recipes. 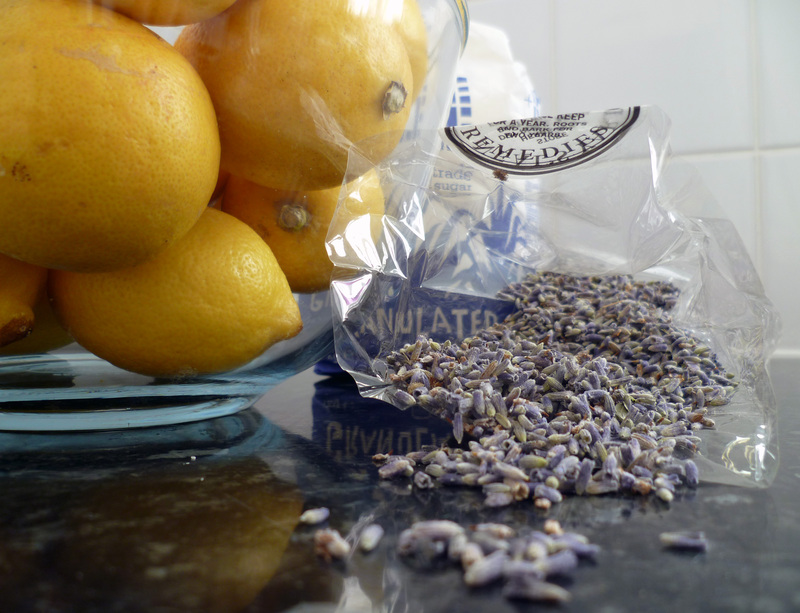 I am looking forward to using the lavender sugar to bake scented cupcakes and biscuits!